Welcome to Gerda Roze Art. 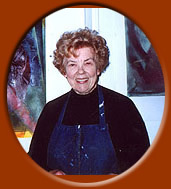 Our Website contains over 40 years of works, from her early works in Cassein and Realism into Cubism, to her works in Abstract Expressionism, including her unique diptychs and triptychs, to her celebrated recent work with monotypes and collagraphs. Journey through our galleries and experience the evolution of an artist. Take a look at the upcoming events page to find out where Gerda's work will be showing next.